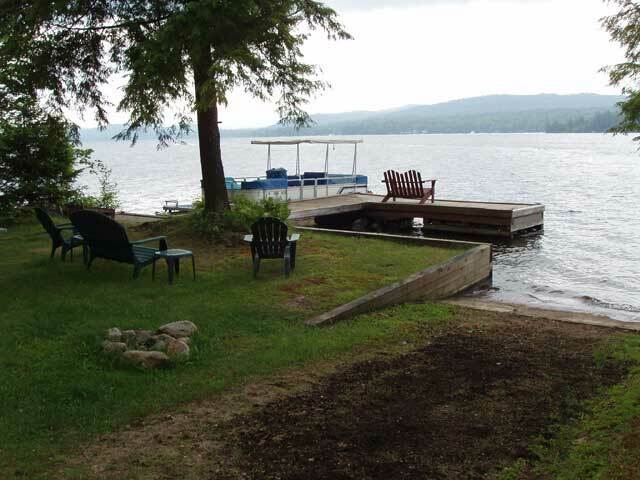 This very cute 3 bedroom, 2 bath home offers one of the best views of the water. 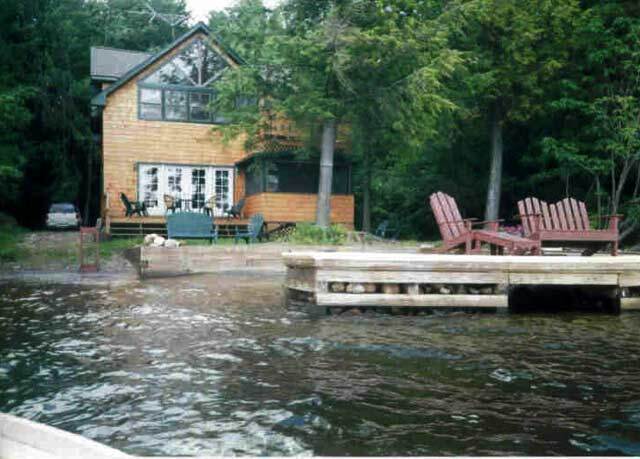 Located on the North Shore of 4th Lake. 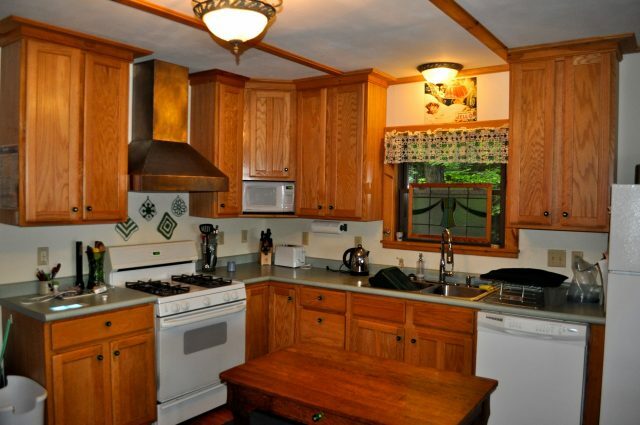 This Adirondack home offers an open floor plan. 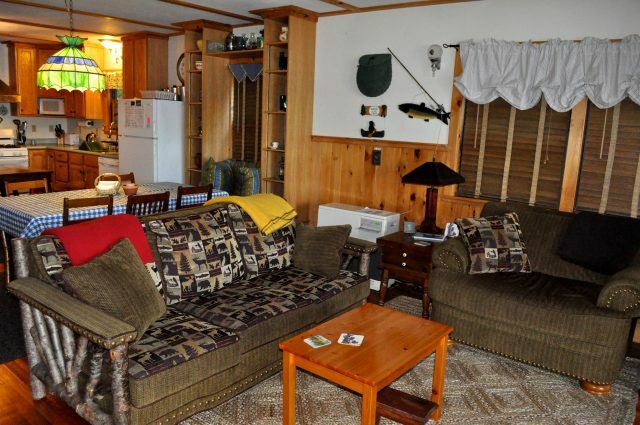 Living room, full kitchen and dining area all in one big open room which faces directly out over the water. 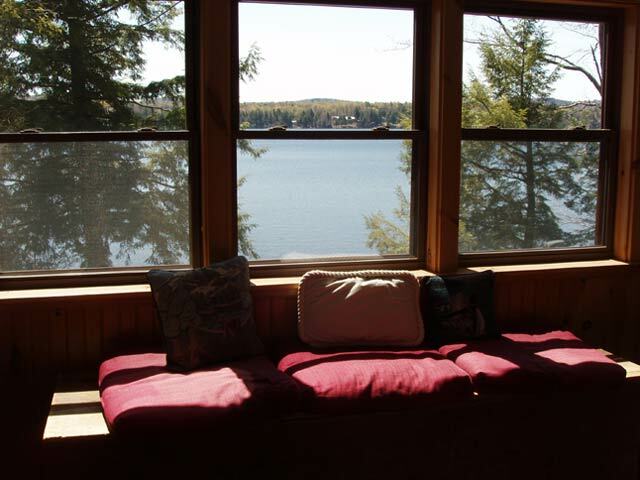 Just off the living area you’ll find a great screened in porch facing the water as well. 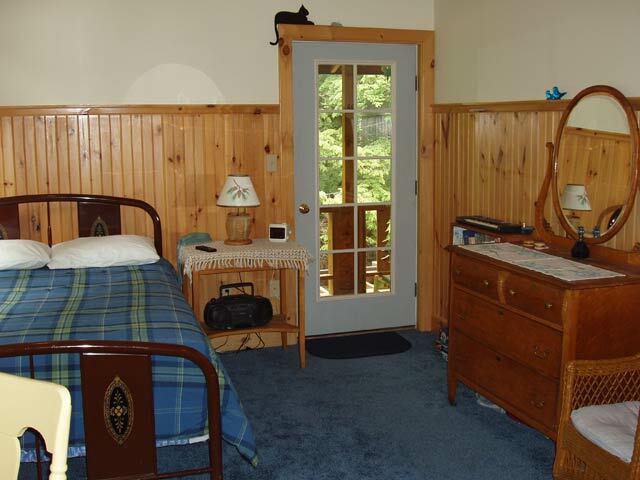 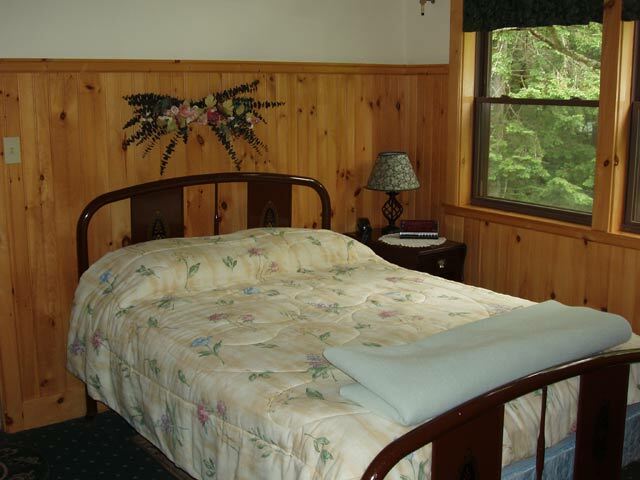 The bedrooms are all on the upper level, each with their own private balconies and wainscoting to add a touch of charm. 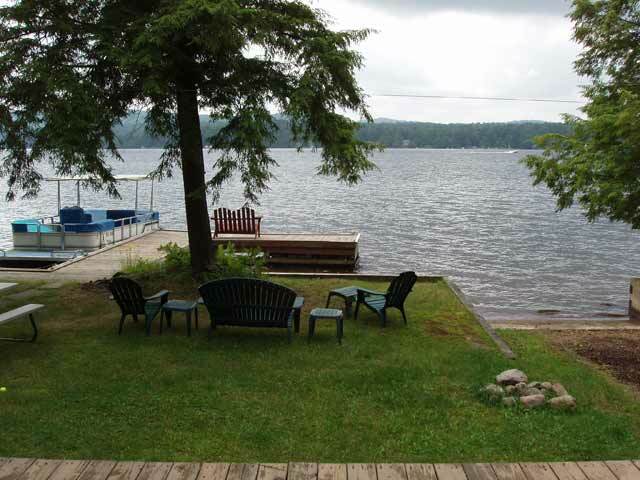 Outside is a large deck with a perfectly manicured lawn leading right up to the waters edge, dock and easy walk in sandy bottom swimming. 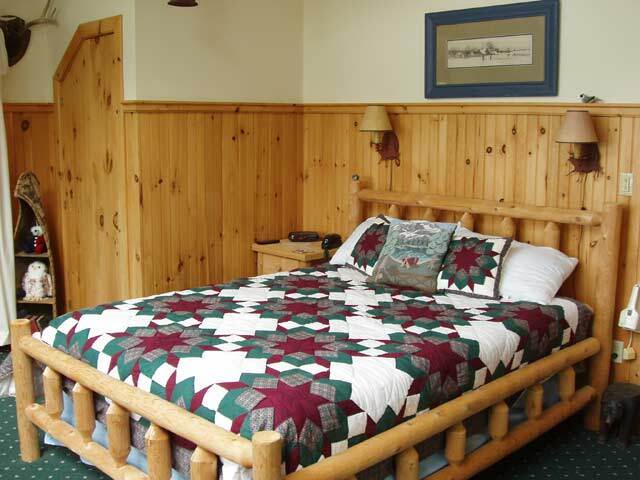 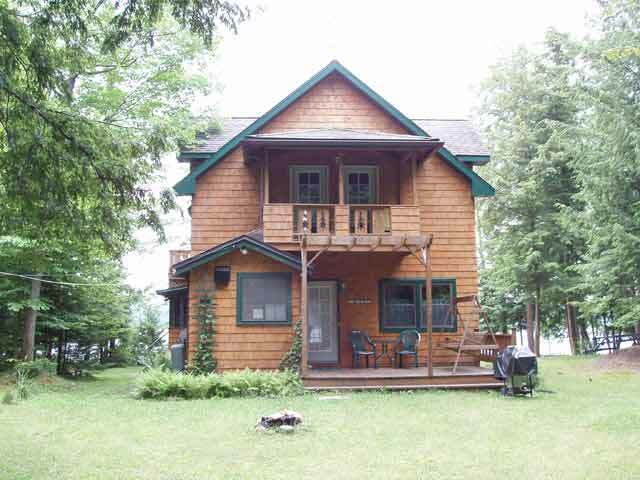 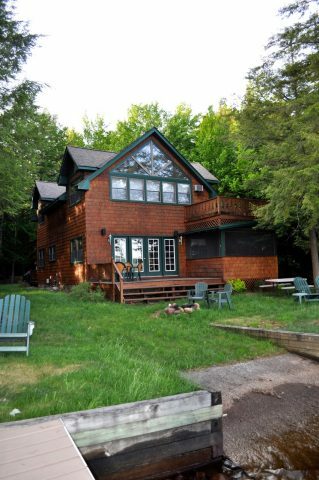 This home is perfect for an Adirondack get away. 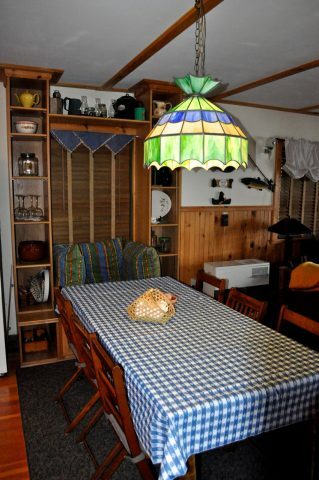 (TV,cable,DVD,CD,dishwasher,W/D,internet,firepit, gas grill)( 1 queen, 2 doubles). 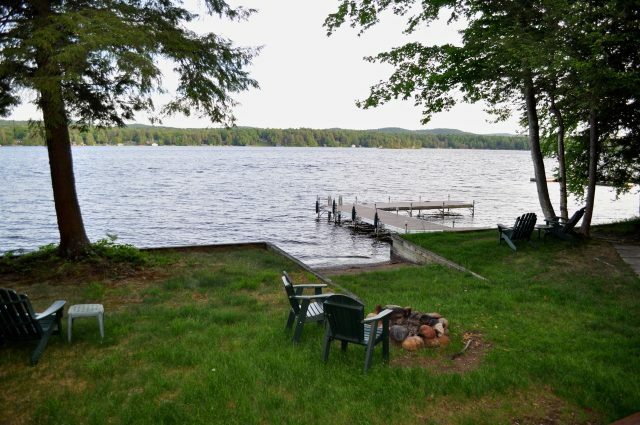 Summer 2019 weeks open – 6/21,7/5,8/16,8/23,8/30.